Veneers are hand crafted thin shells of porcelain that bond to your tooth. With them we can change the shape, color, length and correct crooked teeth in only two visits. Contact us today to see if veneers are right for you. What are the types of Porcelain Veneers? Veneers are not all the same! Veneers can be made extremely thin, sometimes with little or no drilling on your natural tooth. Other veneers are more like mini crowns and are significant changes to your tooth. There are advantages and disadvantages to each approach. We do both, and things in between! It all depends on your situation. Our goal is to offer our patient options, and to be honest about the reality’s of each option. If you have healthy teeth – teeth without big fillings, crowns or gum disease, but don’t like the way they look you may be a candidate for veneers. People like the way they look and they like the immediate results that can be achieved. They can strengthen teeth that have become thin due to wear or erosion, and they always make your smile look younger and fresher. What are alternatives to Veneers? If the main concern is crooked teeth, orthodontics should always be considered. Especially since we offer a very quick and effective program for adult ortho that typically takes around 6 months. Teeth that have had large fillings, or are subject to bruxism (grinding) may be better with traditional crowns. Unfortunately, nothing we as dentists do, or even the beautiful, natural teeth you were given, are forever! Veneers are more durable than many other dental procedures, but they can fail due to poor home care and diet (leading to decay), gum disease (leading to tooth loss or gum recession which will make them less pretty), and things which can cause them to break or debond, such as finger nail biting, grinding, hard chewing and the like. The good thing is that we have much more of your tooth to work with if we need to replace them compared to crowns. But the reality is, They will be beautiful for years, but at some point you can expect to replace them, especially if you are young. Composite Veneers, sometimes called “Bonding” was the original way white filling materials were used to change the esthetics of teeth. The dentist takes a putty like material and hand applies it to the tooth, sculpting it and polishing it to the desired form. While you can make some amazing rapid transformations with this technique, it lasts a much shorter time than porcelain veneers. Because it is hand-crafted in the mouth, tiny bubbles and defects are impossible to avoid, and these soon pickup stains. They are not as strong either. For this and other reasons, We rarely use this method any longer. What can I do to protect the beautiful veneers I now have? We will make sure, long before the veneers are done, that you know what you need to do. You may be instructed to wear a night guard to prevent bruxing induced fractures, or you may have fluoride trays made to reduce the chance of decay. Minimizing the foods and beverages that stain teeth, such as red wine, tea, colas is important and, of course, smoking doesn’t help. These things don’t actually stain the porcelain since porcelain is impervious, but they can stain the edges where the veneer ends or stain the back of the teeth. 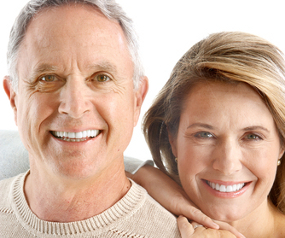 Contact us or Request an Appointment today to see if veneers are right for you.